After a brave battle with cancer, Mickey passed away peacefully at the Kamloops Hospice, Saturday, January 28 with family by his side. He was a long time resident of Darfield, B.C. where he lived on the family farm, and drove the Little Fort school bus route for 20 years before retiring. He loved animals, especially horses and dogs, and valued being involved in the local 4H Club. 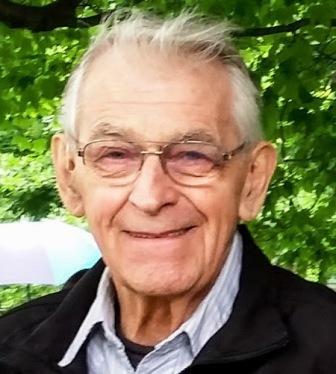 He was known around the area for his participation with Coffee House Music and the local Theatre within the community of Barriere. He lived a simple, yet surprisingly colorful life to which he had many interesting stories. He is predeceased by his dad, Graham (1969), his sister, Pidge (1979) and mom, Betty (1988). He is survived by his brother, Sandy Kinloch; sister, Barbe Crabtree; daughter, Penny (Tony); son, Mike (Claire); grandchildren, Sam, Alexandria, and Charlie. There are also cousins, nieces and nephews. A gathering to remember Mickey will take place at 11:00 a.m. on Saturday, Feb 11, 2017 at the Barriere Lions Hall, where family and friends would like to share some of their stories in his memory. The family would like to thank the staff and volunteers at the Hospice for keeping him comfortable the last couple months. Also to the ladies and staff at the Barriere Health Center, who kept him on track with his weekly appointments while he was doing chemo treatments. My condolences to Mikey’s family.. I have good memories of chasing cattle to the range with him .. He was always pleasant, could be counted on for a joke, laugh or smile .. I sure would have liked to see him in a play … that would have added to my good memories of him. Our condolences to all the Kinloch Family on the loss of a good father and family man. He will be missed by many in the community as well. He always found a way to bring a smile or laugh when talking to you. I am sorry to have missed his service, but my thoughts were with all of you. I hope you can take some comfort in knowing that the suffering is over. may god lift you up in this time of mourning.